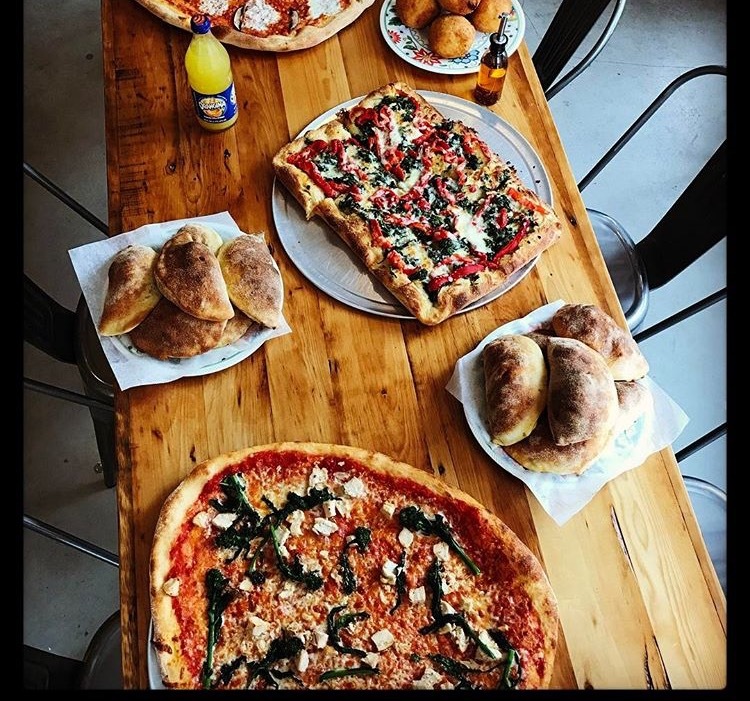 The team at The Archer Residences sat down with John Cucinatti, the owner of one of its favorite neighborhood eateries, FLORINA Pizzeria / Paninoteca. This one-of-a-kind culinary gem brings fresh, authentic Italian cuisine to Beacon Hill and is conveniently located next to The Archer Residences at 16 Derne Street. 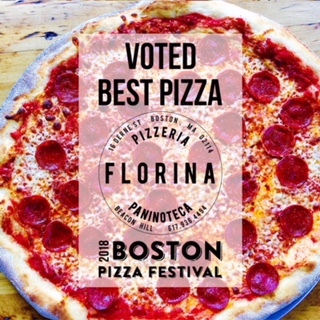 Read on below to learn about Cucinatti’s craft, menu recommendations, and the muse behind his concept that the Beacon Hill Times recently featured for winning the popular vote in Boston’s Second Annual Boston Pizza Festival. Cucinatti handcrafted most of FLORINA’s interior, gutting out the previous establishment to make way for a new, sleek design with wooden and yellow accents and polished concrete floors. He has a knack for design and produced FLORINA’s interior renderings himself. FLORINA’s recipes date back generations and are inspired by Cucinatti’s Italian upbringing. His great grandparents were born and raised in Italy; his grandparents in the North End. 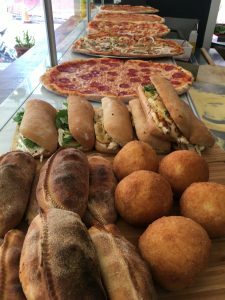 Cucinatti believes fantastic food, friends and family lay the foundation for an outstanding meal, and thus his restaurant concept is designed to be extremely family friendly with an inviting atmosphere, perfect for takeout or convenient dining in. Beyond FLORINA’s delicious pizzas, the most requested menu items include: the Eggplant Rollatini, which is garden fresh eggplant stuffed with three cheeses and topped with a plum tomato sauce, and the Grilled Chicken Bomba, which is marinated grilled chicken, homemade bomba spread, with arugula and fontina cheese on Ciabatta. Contrary to some of the more exotic and complex menu items, Cucinatti is a firm believer in simple cooking. 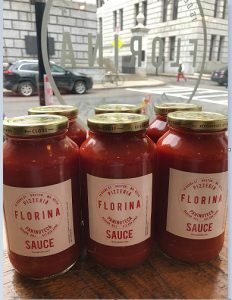 When recounting his favorite meal growing up, he discussed his love of pasta, homemade sauce and chicken cutlets, which are all available at FLORINA. Need a pick me up? FLORINA also serves delicious espresso to pair with the restaurant’s homemade Tiramisu, which is made of lady fingers soaked in espresso and brandy, layered with imported mascarpone cheese and cacao du barry. You can often find John behind the counter sporting a FLORINA t-shirt. Swing by just to say hi or to enjoy FLORINA’s Italian delicacies. Continue to follow The Archer Residence on Instagram (thearcherresidences), Facebook (The Archer Residences Beacon Hill), and Twitter (@archerresidence) for more scenes from in and around the neighborhood, and updates on The Archer Residences, and tips for making the most of Beacon Hill living. Miss the Sales Center Grand Opening? Book an exclusive appointment or call (877) 873-9099 to connect with The Archer Residences’ sales team to learn more about the area and/or preview one of the homes today.